We are pleased to announce the opening of an exhibition of new works by Masaya Hashimoto entitled “Issō ichiboku” (A Single Blade of Grass, a Single Piece of Wood) at our location in the Shirokane Art Complex. 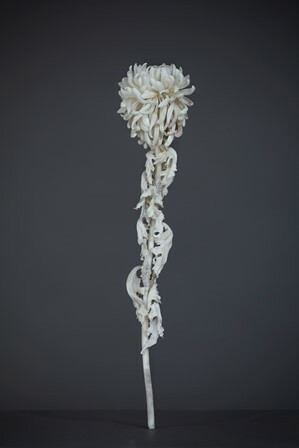 In this show the artist presents six new sculptural works – plants made from deer bone and antler – continuing the series he began two years ago with the exhibition “Seed With No Shell,” staged here in July of 2012. He also introduces wooden sculpture, which is a new medium he is working with here for the first time. Complimenting his work will be the pair of screens Willows of the Four Seasons, by renowned painter Hasegawa Tōhaku (1539 – 1610). Like the many pieces of classical art usually handled by London Gallery, the new group of towering works by Hashimoto draws viewers in, answering a basic human desire to be close to nature, and at the same time reminding us of its impermanence. His earlier works showcased his deft carving skills and the unique characteristics of deer antler and bone, transforming the infinite subject of “life” into sculpture with his unique aesthetic and sense of balance. As before, Hashimoto collected samples of the plants flowering around him in all seasons, studied them, and made them the subjects of his sculpture. They are familiar to us all, including the Japanese iris, chrysanthemum, daffodil, and others. We hope that you will take the time to stop by and see the show. The flowers taken as subjects here bloom in the nearby mountains and along the sides of the road. It is rare that they bloom alone, and are almost always found flowering in multitude. When I find a flower that I think might make a good sculptural model, I make a rough plan of how I want the piece to look, but by the time I collect the flower and bring it back to my studio it has already passed its peak. Once I have returned with a sample, I measure it immediately and set about sculpting the piece as quickly as I can, until the life has all but left it. After it has died I must work from photographs, and while this process may bring the sculpture, the materials, and even myself close to the beauty of flower while it is alive, there is something that can only be captured in that brief space of time while the flower has live flowing through it. Born in the city of Takayama, Gifu Prefecture, in 1978. Self-taught, he has learned sculpting techniques through experience and experimentation. We apologize for the inconvenience, but the gallery in Shirokane will be closed on Tuesday November 11th. The gallery in Roppongi, however, will be open according to its regular schedule. 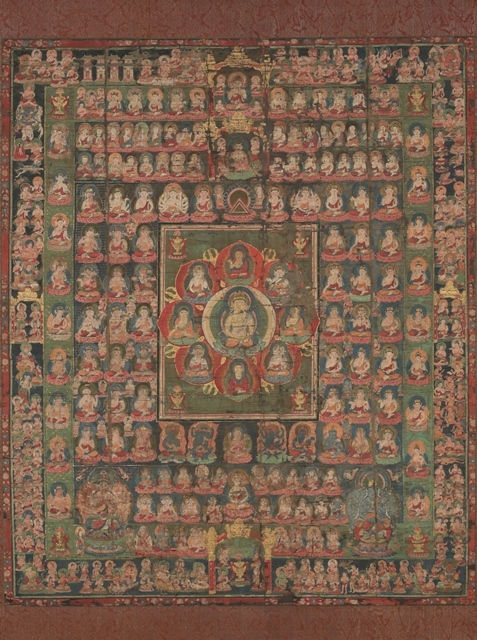 We are pleased to announce the opening of our next exhibition, The Pleasures of Buddhist Art, focusing exclusively on the Buddhist arts of Japan. Shows such as this are made possible only with the generous support of the many scholars, curators, and collectors we have had the privilege of associating with over the years, and long-time friends of the gallery Sylvan Barnet and William Burto stand out among them for a great many reasons. The Japanese art community suffered a tragic loss on July 5, 2013, when, with tremendous sadness, the news of Bill’s death came. It is with the utmost respect and gratitude for years of friendship that we dedicate this exhibition to the memory of William Burto. Including sculpture, painting, sutra fragments, metalwork, and lacquerware ranging from the seventh to the fifteenth centuries, we hope that you will enjoy the selection made for this special occasion, being staged for the first time at both the Roppongi and Shirokane galleries.